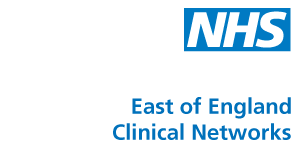 This project led by by the East of England Strategic Clinical Network, working with the National Development Team for Inclusion (NDTi) will evaluate and support co-production between patients, carers and healthcare providers as equal partners in the East of England. Coproduction is a way of thinking and working where patients and carers are equal partners with healthcare providers. Together identifying and bringing about improvements to health-based services, strategies or programmes of work. The programme was launched in October 2014. NDTi (www.ndti.org.uk) is a not-for-profit organisation concerned with promoting inclusion and equality for people who are at risk of exclusion and who need support to lead a full life. They have extensive experience of leading co-production projects with a range of providers, including health and social care agencies. NDTi have a particular interest in issues around age, disability and health. They work across all client groups and have nationally recognised expertise in co-production. For more information on the project please go to their website. Action Learning Sets – ALS are dedicated days where teams can get together to work on their projects and support others with theirs through a process of listening, reflection, questions and actions. The in-depth part of the programme is to support three CCGs to work on large-scale service improvement in mental health or long-term conditions, with funding from the SCN and specialist support from NDTi. The projects and sites chosen were selected from a number of applicants by a Co-Production Steering Group panel, which included equal numbers of patients and carers, and professionals. Improving Annual Health Checks for People with a Learning Disability in Thurrock. Thurrock CCG, experts by experience, and a local Social Enterprise are trying to identify the barriers that are preventing people having an annual health check and to find innovative solutions in order to increase the take up. All projects will be fully evaluated by NDTi, with the aim of measuring the impact of co-production as a method of working. Evaluation will look to capture the outcomes for people using services, service delivery and where possible cost effectiveness. To evaluate the extent to which participation in the programme has led to a change in knowledge, understanding and commitment to co-production for both the professionals and patients and carers involved. Further updates on the programme will be released in due course.